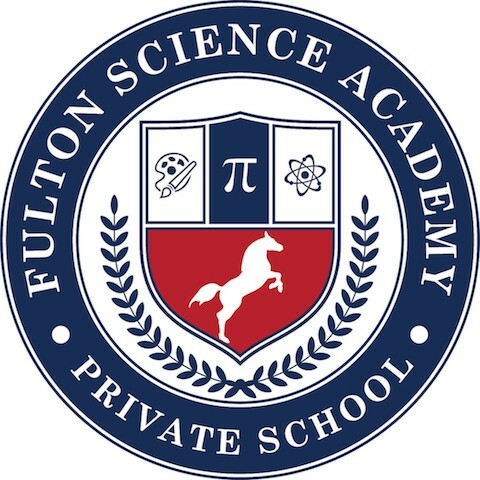 The Education Expense Tax Credit program provides an opportunity for taxpayers to redirect Georgia tax dollars to provide financial aid assistance to incoming FSAPS students that are currently enrolled in public school. The state anticipates that 2015's $58 million in tax credits will be claimed during the first week of January. Funds are available based on the date forms are received. It may seem early, but please don't wait to submit your form! Payment is due 60 days after Department of Revenue approval is processed beginning January 1. 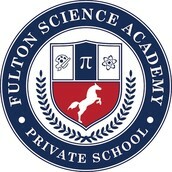 How can this tax credit benefit both Fulton Science Academy Private School and myself? You will receive a tax credit on your state income taxes and a charitable deduction on your federal incomes taxes for the amount of your contribution. For married couples filing jointly, the maximum tax credit-eligible contribution is $2,500 ($1,000 as an individual). The state of Georgia will then issue you an income tax credit in the full amount of your contribution. The SSO qualifies as a charity for federal income tax purposes. Therefore, contributions made through this program generate a charitable deduction for taxpayers who itemize their returns. AMT filers, GA state tax liability is not deductible on the federal return. Therefore, redirected taxes are converted into charitable contribution on the federal tax return. For example, an AMT filer who redirects $2,500 through the program, receives $700 (28%) in additional tax benefit on their federal return and reduces state tax liability by $2,500 on GA state return. The state of Georgia has placed an annual cap on the total amount of tax credits that may be awarded through this program. This limited number of tax credits will be awarded on a first come, first served basis. With the increase in popularity of the program the funds are claimed earlier each January. If you are interested in participating, we urge you to make your commitment early in the calendar year. Once the funds are used up, you will have to wait until next year to participate in the program. Click here to complete the electronic form through the Apogee website. 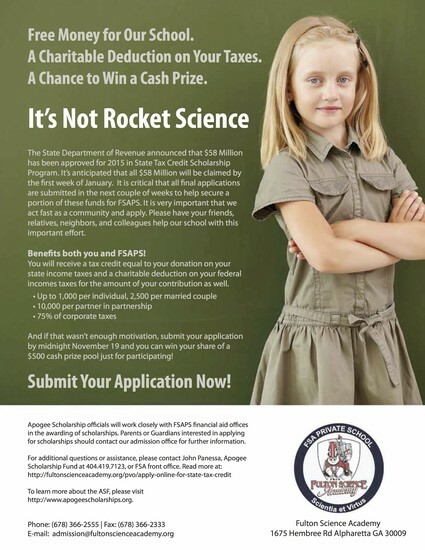 Apogee will submit your information starting Jan. 1, 2015.